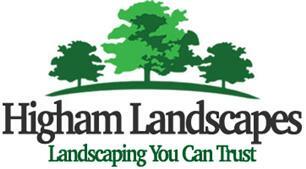 Welcome to Higham Landscapes Checkatrade profile page. We are passionate in providing a complete gardening service to the highest levels of presentation and professionalism. Let us take the strain out of your garden, sit back and enjoy your spare time. We take our membership with Checkatrade very seriously and aim to go above and beyond our customer's expectations. Our complete gardening service includes all aspects of Garden Maintenance, Hard and Soft Landscaping, Paving and so much more. We offer a year round maintenance service to our customers, on a regular or irregular basis or just a one off clear out. We also cover all area's of Landscaping, offering a complete re-design or repairs. Higham Landscapes are based in Higham Ferrers, Northamptonshire and cover a 25 mile radious of the NN10 postcode. If in doubt give us a shout, we probably cover your area too.